Escape! We are a relaxing, free-form vacation for Furries. Our programming is warm sand, sparkling waters and exciting entertainment aboard one of the world’s finest cruise ships. 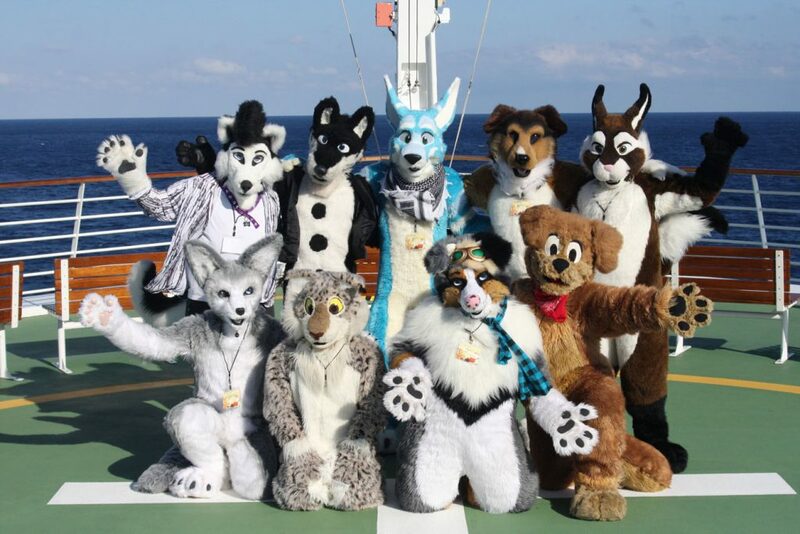 Grab your swim trunks, your flip flops and your fursuit; join us on the 2017 furry cruise! This year’s voyage takes us out of the port of Boston, Massachusetts on November 3rd on the newly refurbished Norwegian Dawn. This ship is brand new after a 30 day dry-docking and complete refurbishment in 2016 with all new amenities and activities for us to all enjoy. Once settled in, we welcome you to enjoy a leisurely 3 days at sea enjoy the ship and get to know your fellow guests on our way to St. Thomas in the U.S. Virgin Islands. From there the ports are nonstop traveling to Philipsburg, St. Maarten, St. John’s, Antigua, Basseterre, St. Kitts, and Tortola, British Virgin Islands; before ending our incredible 9 day voyage in San Juan, Puerto Rico. We welcome you aboard with us this coming November to enjoy the sun, the sea, and running around with friends in suit. Please follow the links to find out more, and we hope to see you on the 2017 Furry Cruise.